This is my last blog post of my introduction series for Oracle Big Data Cloud Service – Compute Edition. In this blog post, I’ll mention “Apache Pig”. It’s a tool/platform created by “Yahoo!” to analyze large data sets without the complexities of writing a traditional MapReduce program. It’s designed to process any kind of data (structured or unstructured) so it’s a great tool for ETL jobs. 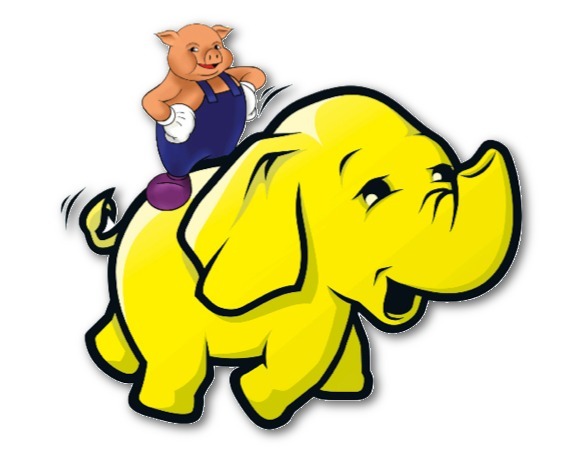 Pig comes installed and ready to use with “Oracle Big Data Cloud Service – Compute Edition”. In this blog post, I’ll show how we can write use pig to read, parse and analyze data. In my previous post, I used PySpark (The Spark Python API) to load flight data and created very simple analyze using Spark SQL. I’ll do the same thing with same data using Pig. - Failed to get the response from the timeline server. - Failed to submit plan to ATS: Failed to get the response from the timeline server. Grunt can also be used to run hdfs commands. So I’ll run the following commands to see if I can access the CSV files (2008.csv, carriers.csv). These files are located in /user/zeppelin folder because, I used Zeppelin to download them. When we run the above commands, I saw 2008.csv and carriers.csv, also the last lines of carriers.csv. So I’m sure that my pig script will also be able to access them. We can tell LOAD statement that we will use a CSV file, the rows are not multi-line, used UNIX style end of line and skip the header. Don’t worry, it’s very simple and commonly used option, all we need to add some “engine” parameters. Be careful about case-sensitivity of variable names. In Pig scripts, variable names are case sensitive while Pig Latin keywords are not case sensitive. So if we want to use carriers_file in next statements, we need to use “carriers_file” (all lower case). I’ll define schema on load, because the 2008.csv file has lots of fields we do not use, therefore I don’t want to defined them). If you do not define schema for a data set, you can access the fields using $0, $1 … variables. In our CSV files, fields are quoted “ZMZ”,”Winnipesaukee Aviation Inc.”, so I also need to remove quote signs using REPLACE command. To be able to do it, I need to say Pig to process each row in “carriers_file” data set. FOREACH and GENERATE statement is used for it. So above statement process each row, removes ‘”‘ quote signs from $0 and $1 (first and second columns) and name them as Code and Description. I tell Pig that “the REPLACE command will process 25th field in “flights_file” and return an integer, and I want to store it as CarrierDelay (an integer column)”. I define the data types strictly to prevent casting problems on MapReduce jobs. This is very important tip, specially if you use an earlier release than Pig 0.17. Line 1) I define “result” as the result data set. Pig should process each row in “flight_grouped” data set. Line 2) The number of flights for each airline will be counted and stored as Total. Line 3) A new data set for delayed flights will be created. Line 4) Average delay will be calculated and stored as avg_CarrierDelay. Line 5) The number of delayed flights will be counted and stored as Delayed. Line 6) The delayed/total flight ratio is calculated and stored as DelayedTotalRatio. Line 7) The row containing (Airline) Code, Description, average delay time, number of delayed flights, total number of flights and the ratio is returned as a row (for the result set). Line 10) A new data set (ordered_result) is generated by ordering descending the result data set by DelayedTotalRatio column. Line 12) The dump is used to generate the result (to the screen). It will trigger the MapReduce job produced by Pig. Successfully read 7009728 records from: "/user/zeppelin/2008.csv"
Successfully read 1491 records from: "/user/zeppelin/carriers.csv"
Successfully stored 20 records (1271 bytes) in: "hdfs://mycluster/tmp/temp1852761250/tmp-1091973150"
Pig Latin is a very powerful language to process data but it requires a different mindset than SQL. Hope this blog post will help you, at least give you an idea about Pig.